Mahatma Gandhi Institute of Medical Sciences is located in Sevagram, a small village about 8 km from the city of Wardha, Maharashtra. The Institute was established by the Govt. of India and Govt. of Maharashtra in the year 1969. 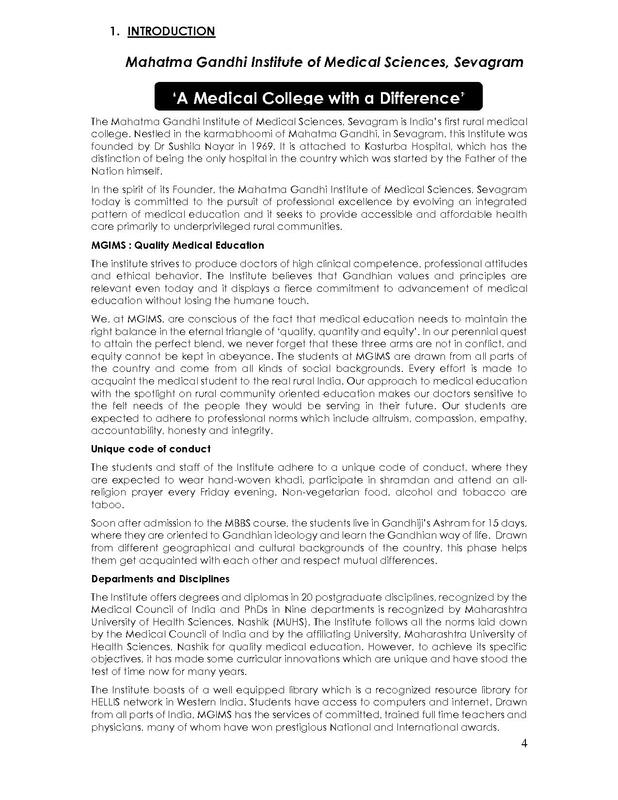 The college is managed by Kasturba Health Society and was earlier affiliated to Nagpur University (1969-1997). The Institute offers MBBS, M.D, M.S, PG Diploma and Ph.D. courses to the candidates at the Undergraduate, Postgraduate and Doctoral level. The Institute offers MBBS Program at the Undergraduate level, MS / MD / PG Diploma program at the Postgraduate level and Research program at the Doctorate level. Admission to MBBS program will be on the basis of marks secured by the candidate in HSC. Acquiring minimum 50% marks in Physics, Chemistry and Biology is mandatory. Candidates securing a valid NEET UG / MHT-CET score are eligible to apply for MBBS program. MGIMS offers ten specializations in MS Program, eleven specializations under MD program and nine specializations under PG Diploma program to the candidates. Applying candidate must have obtained an MBBS degree with Minimum 50% marks. Candidates who have qualified NEET-PG examination are eligible to apply for PG programs. The Institute offers Ph.D. program in nine specializations at the Doctoral Level. 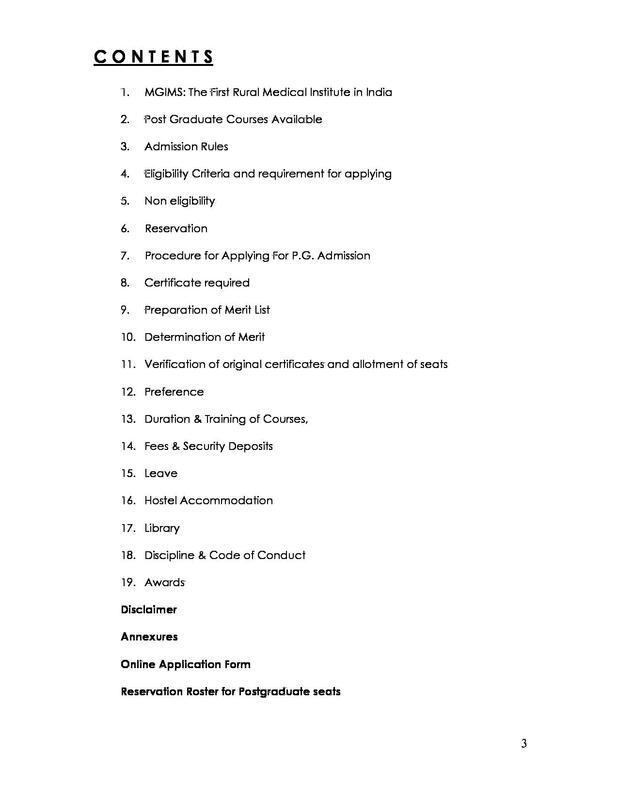 Candidates applying to this course must hold a Master’s degree with minimum 50% marks in relevant discipline from a recognized University / Institute. Admission to the course is based on the round of counselling conducted after the candidates qualification of a relevant entrance test, such as UGC NET. From the beginning, MGIMS was committed to excellence in education, clinical services and research. 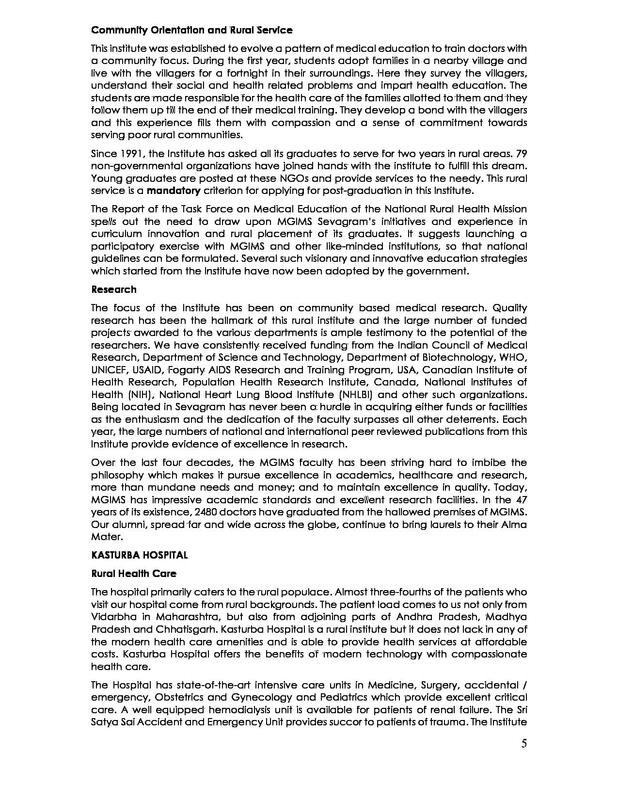 MGIMS is a non-capitation educational institution that offers quality medical education in streams like preclinical, paraclinical and clinical. After getting admission, the college begins with an “Orientation Camp,” where the students spend 15 days in a Gandhi ashram called “Bapu Kuti” to understand the Gandhian way of life. The students take part in three different camps during their stay in MGIMS. The first one is at the Sevagram ashram where students spend a fortnight to get an idea of Gandhiji’s vision. The second one is a few months later when every student is allotted five rural families each - a tradition that helps them understand health problems of the rural people during their five-year-long stay at MGIMS. The experience goes beyond textbooks. The third camp is the Reorientation of Medical Education (ROME) camp that is organized at the beginning of the final year. This rich exposure to rural India is followed by an internship and a one-year-long posting in rural NGOs that allows students to acquire skills for practicing medicine in resource-limited settings. Sevagram is not about rural Medicine alone but also offers fantastic training in well-equipped laboratories, classrooms and hospital wards. Community Prayer: Students have to attend this prayer once in the morning and once in the evening. It is a collaboration of prayers from different religions and creates a sense of unity among the students. Yoga: Every morning the students are supposed to do yoga under the guidance and invigilation of a yoga expert. The students are also informed about the various benefits of yoga in their life. Khadi: Spinning Charkha (spinning wheel) and wearing khadi clothes. This brings a unique, rich culture in the Institute and also helps in promoting the handloom industry of Khadi cloths. MGIMS All India PMT and I have Scored 160 out of 240 including 29 marks out of 60 in Gandhian Thought. 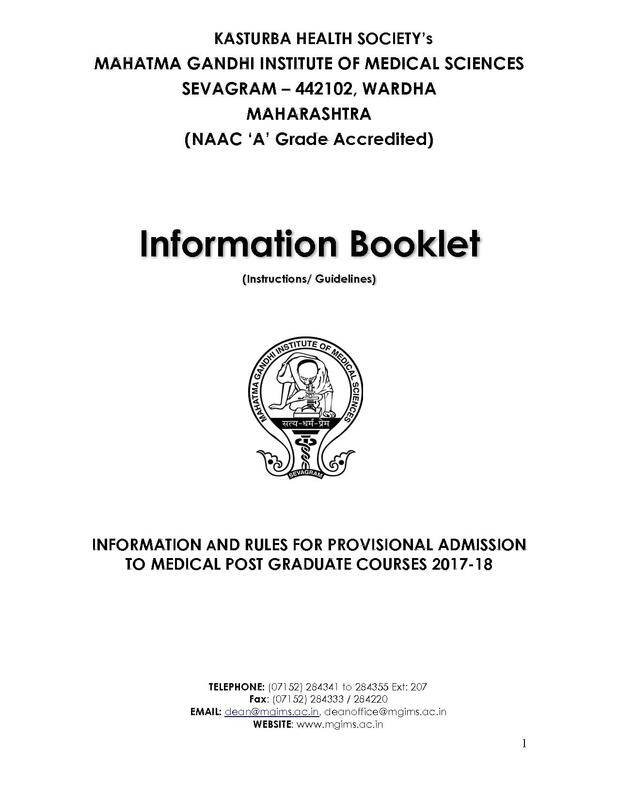 This Is one of the top 20 Ranking Medical Medical Colleges in India and has Internal Pg Admission For The Students who has Done Ug from this college. 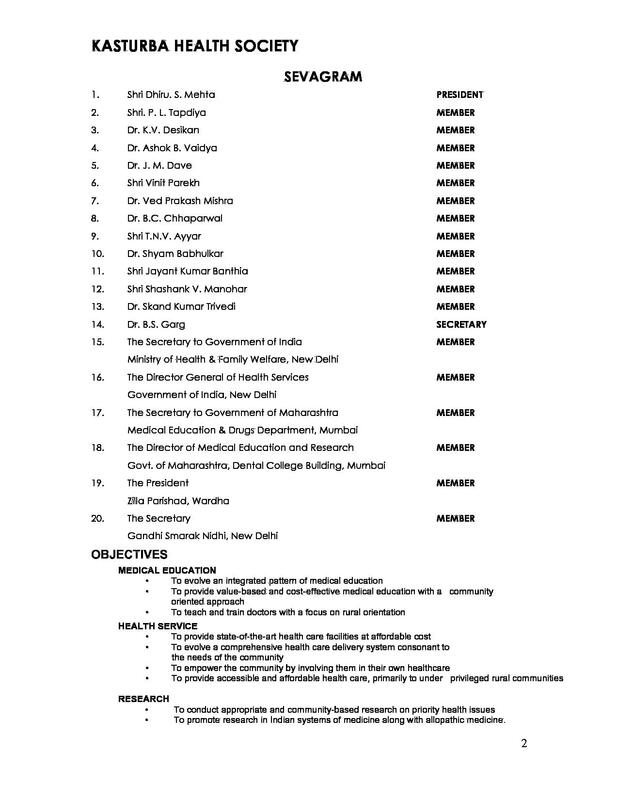 Well Doctors does not Require Recuirtment as there is Shortage of Doctors In India but many of the best Doctors are produced by this College.